2016 Genesis Supreme 40CR 5th Wheel Toy hauler with 2 slides! 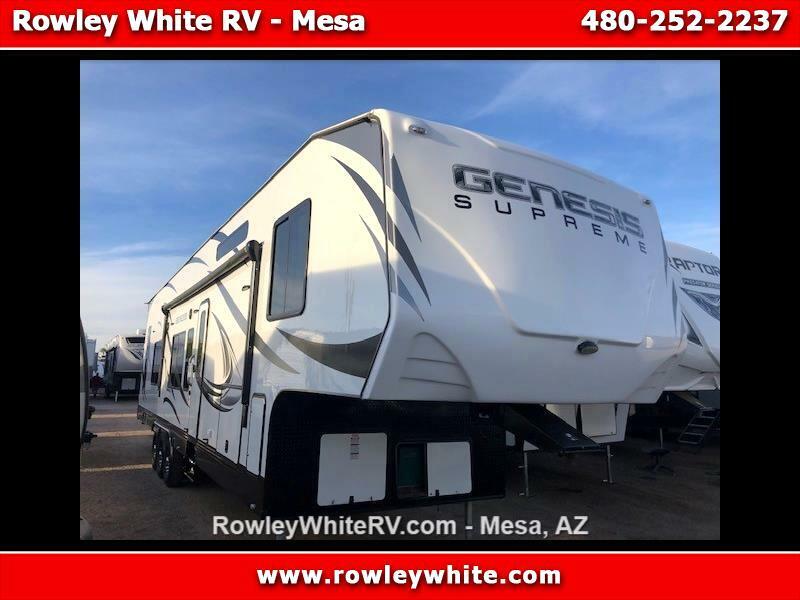 USED 2016 Genesis Supreme 40CR Fifth Wheel Toy Hauler with bedroom and living room slide out! This thing is Huge! 19 feet to the first cabinet and 25 feet to the first cabinet on the other side! Easily fit 2 Razor side by sides or a sand car! The length of the trailer is about 41 feet. Message: Thought you might be interested in this 2016 Genesis Supreme Supreme Toy Hauler.